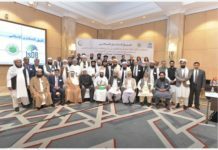 LANDIKOTAL: Jamiat-ulama e Islam leaders talks mediamen. LANDIKOTAL: Jamiat Ulema-e-Islam Fazl (JUI-F) ex-Fata general secretary Mufti Muhammad Ejaz has appealed from the law enforcement agencies and other concerned departments to take immediate steps recovery of the party’s workers who had been missing from Karamna area of Landikotal tehsil since 10 November this year. 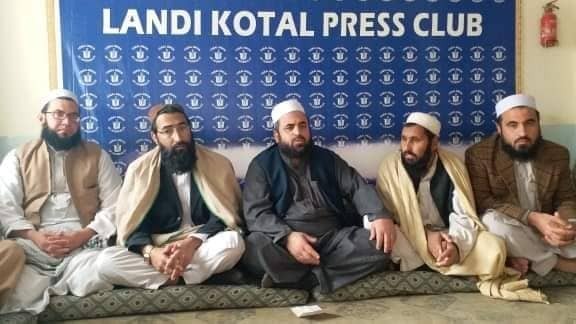 Talking to a press conference held in Landikotal Press club on Wednesday, JUI-F leader Mufti Muhammad Ejaz said that despite control on the the locality the Zakhakhel Aman Lashkar(peace committee)has failed to give protection to residents. 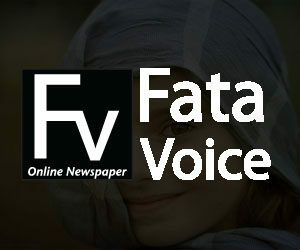 Mufti Ejaz said they had discussed the issue with the security forces and concerned government officials but in vain. “We are peaceful citizens of Pakistan and the government should take steps to provide protection to all its citizen,” he said. Mufti appealed from the security force and all other law enforcement agencies to help recover his party workers safely. 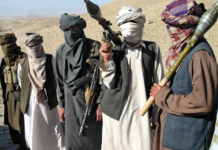 He threatened to block Pak-Afghan highway at Sultankhel area in Landikotal subdivision on Monday if their demand was not addressed. It may be added here that Gul Rahman and Khalis Khan, the workers of JUI-F, had been missing from Karamna, the remote area of Landikotal tehsil since November 10, 2018.